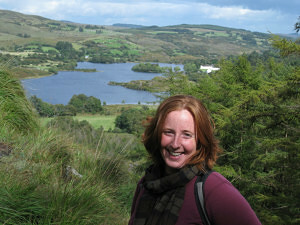 Kat Koch: The first time I went to Ireland was on April 15th, 2009. That’s right, tax day! I’ll never look at tax day the same. 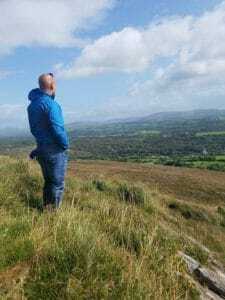 I spent 2.5 months exploring the perimeter of the country, spending a large portion of time in SW Cork. I fell in love with Ireland. That smile you see on my face, that is pure joy right there. In 2015 I moved to County Cork and have been living there full-time learning the mysterious ways of the Irish. I have been traveling nationally and internationally since childhood. I would say, without a doubt, it is my passion. When I was 10 years old I spent the summer in Angers, France. When I was a junior in high school I spent 6-weeks in China teaching English to 6-12 year old kids. As an adult I’ve taught international yoga workshops, international nature connection workshops, and spent countless hours exploring the back roads of Ireland. If you’re looking for a tour guide that gets mistaken for a local, you’ve found her! In March 2010 I completed a 28-day intensive yoga teacher training with Ana Forrest in Seattle. I continued my yoga education the following year and graduated from the year-long Forrest Yoga Mentorship Program in NYC. And in the summer of 2012 & 2016 I graduated from the 9-day Forrest-Yoga Advanced Teacher Training. I taught yoga in the greater-Seattle area for 5 years before moving to County Cork, Ireland. I love yoga. In my opinion it is an amazing tool for self discovery and health. We are also incredibly lucky to have some of my friends who’ve been born and raised in SW Cork be a part of Retreat to Ireland. They know the roads, people, and places of this area like the back of their hands and have in-depth local knowledge to share with you as you experience the Irish landscape.